Spoiler alert: a huge proportion of the content on the internet – including content that looks like journalistic articles – is not independent. By which I mean that it’s been sponsored in some way, whether that sponsorship involves actual money changing hands or not. This isn’t too surprising when you consider the last time you paid for content that you consumed online – the vast majority of us pay for almost none of the articles we read or the videos we watch, with the exception of a couple of monthly subscriptions. And yet, when I was researching for a presentation about blog revenue streams a few years ago, it transpired that 12% of readers were unaware that such content might be sponsored at all. At Amsterdam Foodie, I try to be as independent and objective as possible. That means that I’m never paid to write something flattering about a restaurant. Occasionally (maybe 10% of the time), I accept an invitation for a free meal, but I always make it clear to the restaurant that I’ll write an honest evaluation – positive or negative – and I always disclose any freebies to my readers. I believe it’s important to maintain a critical voice about the places I visit, and not simply to “recommend” every new “hotspot” in Amsterdam. But the flip-side is that I receive very little income for what I do. This blog is supplemented by a day job as a freelance corporate copywriter – that’s what pays my restaurant bills, and indeed my mortgage. And I’m ok with that, except when I’m being berated by someone for not having been to their favourite restaurant or not having included their latest opening on my site. They say you get what you pay for: in this case, neither readers nor restaurants are paying me, so I’d say they’re already getting a lot more than can reasonably be expected. The reviews and articles on this blog are, and will remain, free to read – the same goes for the recommendations functionality on my restaurant finder. 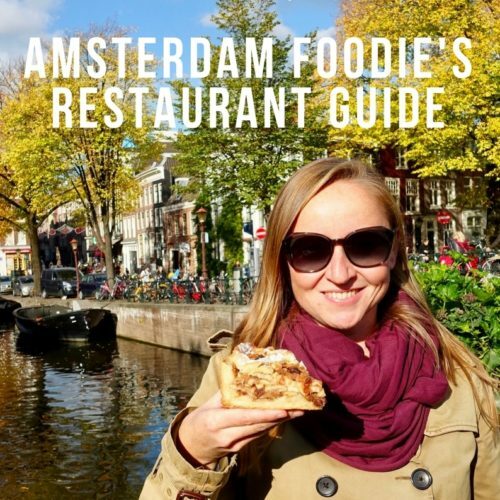 But if you’re looking for all your restaurant recommendations in one place, consider spending just €4.95 on my Amsterdam Restaurant Guide – compiled from over a decade of eating out, updated annually, and arranged according to types of cuisine and neighbourhoods. It’s in a handy e-book format, which means you can consult it on the go on your laptop, tablet or smartphone. The only advertising I have on Amsterdam Foodie is for BookDinners: an independent restaurant reservation system and social platform that does not charge commission for reservations to the restaurants it features. The people at BookDinners approached me about a paid partnership as part of their network of foodies who provide visitors with inspiration for their next meal out. BookDinners is not promoting any individual restaurant; it’s providing a platform whereby people can see which restaurants fit their preferences and where their friends recommend eating so they can make an informed decision about where to book. In short, it seemed to fit well within Amsterdam Foodie’s mission. You’ll find BookDinners banners like the one below at various places on my site, and you’ll also see “Book Now” buttons on some of my restaurant reviews. If you want to make a reservation at an Amsterdam restaurant, consider clicking on these to support my partnership. You may have heard of Patreon: it’s a platform via which consumers of creative content can make voluntary monthly donations to the creators of that content. Whether it’s articles, photos, videos or anything else. 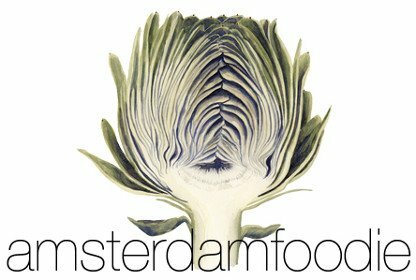 To become a patron (or Patreon) of Amsterdam Foodie, visit: patreon.com/amsterdamfoodie. If you’d prefer to make a simple one-off donation, you can do so easily via PayPal. I’ve even set up a special little button for it on my donations page :-). Just visit amsterdamfoodie.nl/make-a-donation. As well as eating in restaurants, I also cook a lot – especially when I’m hard at work. 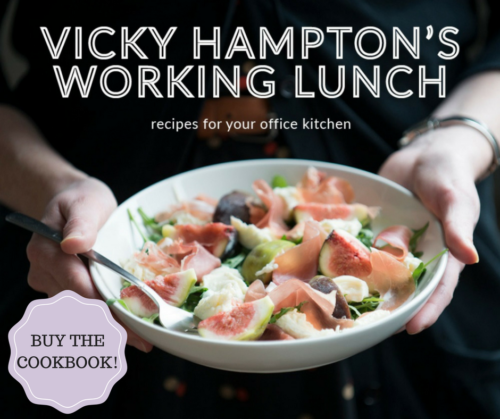 Inspired by my experiences of office canteens in the Netherlands (which were dismal), I wrote a cookbook filled with simple, creative, healthy recipes that you can make in an office kitchen with little more than a chopping board and a knife. If you’re bored of endless kaas broodjes, you can’t afford not to buy this book! The hard-back version is compact enough for your handbag or desk drawer, while the e-book version can be used on your computer or smartphone at work. If you’ve been following a blog for a while and every so-called review that you read is unfailingly positive, dig a little deeper. The blogger may well have been paid to write nice things, and while that’s ok if it’s disclosed as such, it’s worth doing a little more research before you part with your hard-earned cash for food that might be sub-par. With the exception of the BookDinners partnership that I mentioned earlier, I don’t have any other advertising on my site currently. It was a decision I took for aesthetic reasons, and one I’ve frequently regretted. Yes, everyone hates sites that are littered with ads – but if that site is peddling nothing but free content, it may be the only way they can make any income publishing it. And even then, a blog needs to be getting hundreds of thousands of visitors a month before online advertising is really going to start making any dent in the blogger’s bills. No one said that making money from blogging would be easy, but without advertising there’s nothing but sponsored content left (which, in my opinion, is worse than advertising). 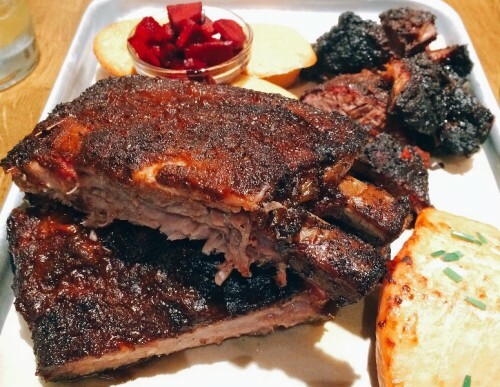 I’ve posted an ugly food pic but explained in the caption that it actually tasted wonderful (BBQ, for example – it’s almost impossible to make a charred, black hunk of flesh look appealing) and got zero engagement. Pictures may speak a thousand words, but sometimes you need to read the words. Otherwise life would be one long avocado toast with #eggporn.